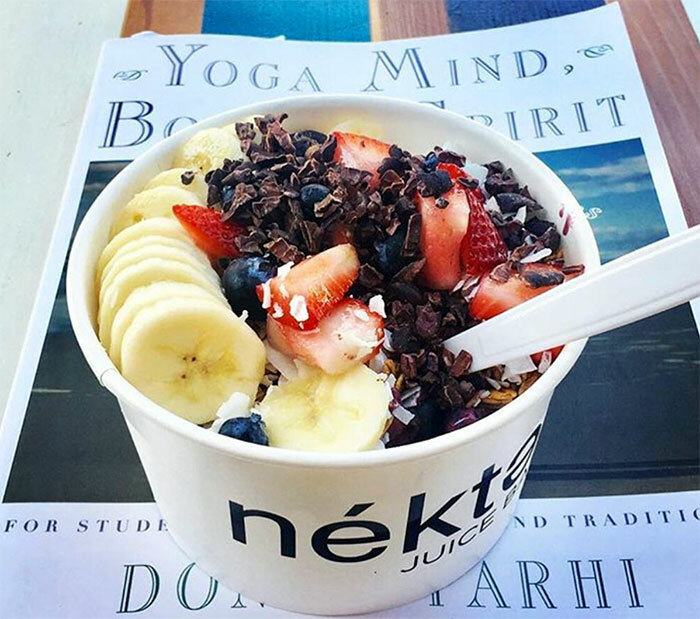 Nekter Juice Bar, a California-based chain, is now open in South End. 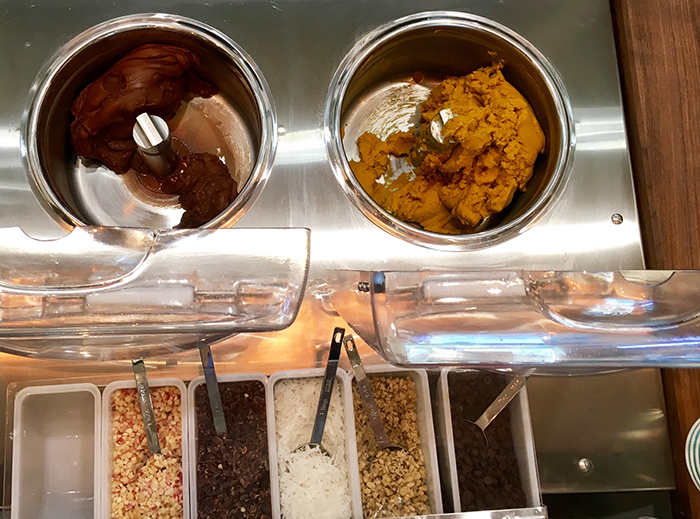 It’s in the same shopping complex as the new Harris Teeter — the exact location is 2275 South Boulevard, Suite B. 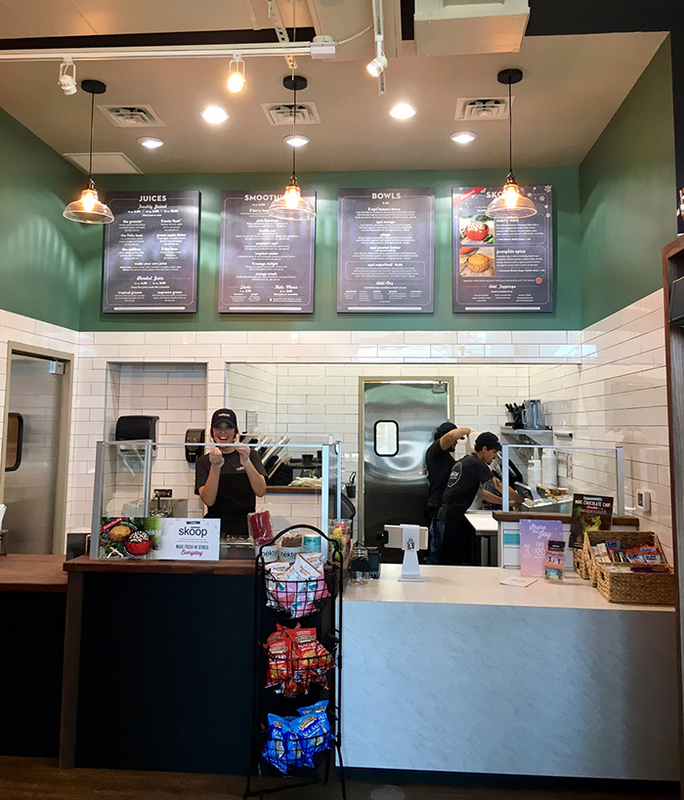 Hours are Sunday through Friday from 7 a.m. to 7 p.m., and Saturday from 7 a.m. to 8 p.m.
Juices are $6.50 for a 16 oz., $8.50 for a 24 oz. and $10.40 for 32 oz. Smoothies are $6.50 for a 16 oz. and $8.50 for a 24 oz. If you’re a first-timer, I recommend the Berry Banana Burst Smoothie ($6.50) — strawberry, banana, blueberry, housemade cashew milk and a little agave nectar. It’s tasty. Free Nékter swag for the first 50 guests. 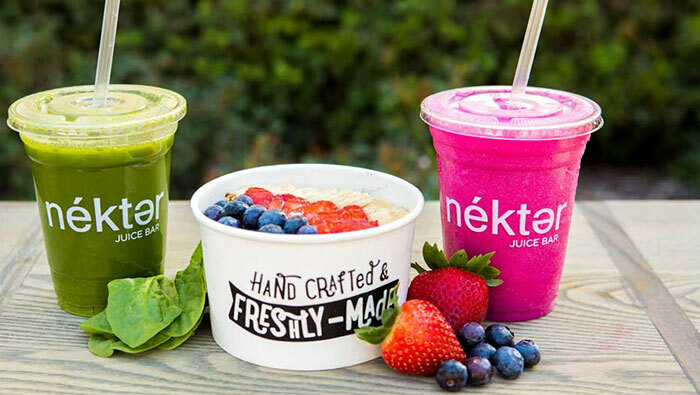 Nekter Juice Bar specializes in juices, smoothies, acai bowls, cold-pressed bottled drinks, cold-brew coffee, chia parfaits and juice cleanses. 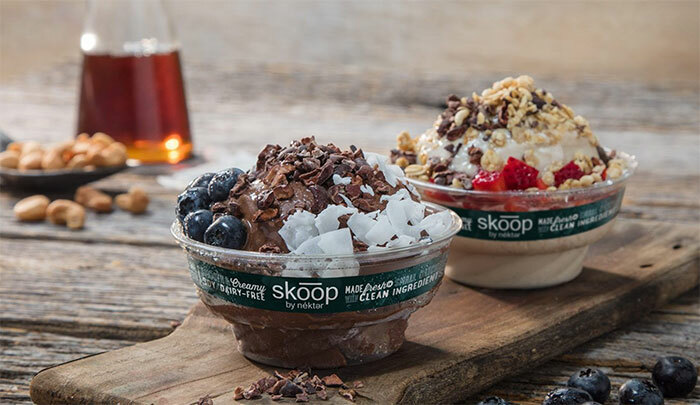 They also serve Skoop, Nektar’s version of healthy froyo. 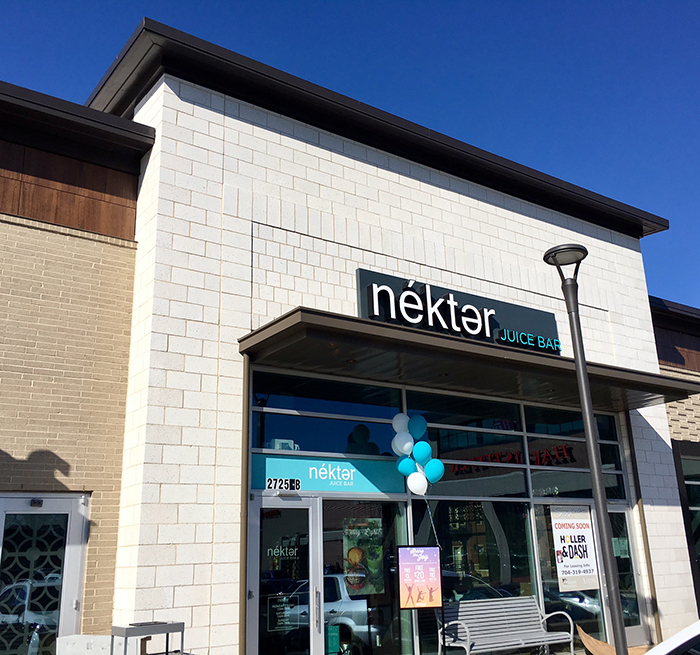 Nekter is also opening a store on Catawba Ave in Cornelius. The grand opening of that store is Saturday, December 16.